Daniel Ricciardo looks happy with his choice to move on from Red Bull. 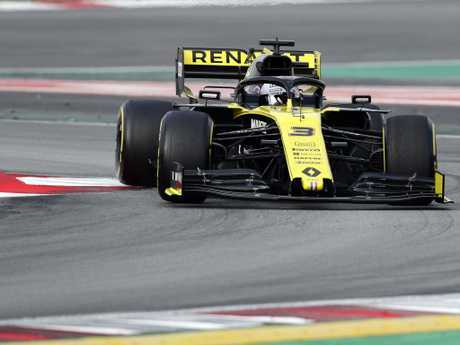 AUSTRALIAN F1 star Daniel Ricciardo has admitted he has settled in quickly at Renault, saying he already felt "cosy" with his new team. With week two of testing set to begin ahead of the Melbourne Grand Prix on March 17, Ricciardo finished the first week with the fifth-fastest time. For Ricciardo it's a big change, he started with Red Bull feeder team Hispania in 2011 and then Toro Rosso, before joining Red Bull. 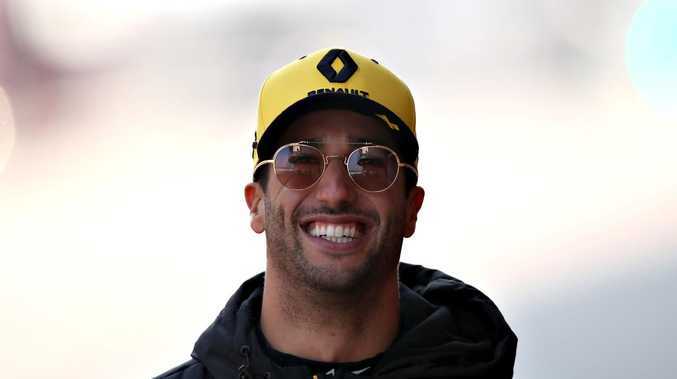 Ricciardo, now 29, spent eight years there before making the leap to the rising Renault and said the "cosiness" is more about how he's been embraced by his team. "I feel comfortable with everyone and I guess it does feel normal walking into the meeting rooms and the debriefs," he said. "It feels familiar. "I think the way everyone is engaging with me has been positive and they are certainly trying to draw as much as they can out of me and to also see if Nico (teammate Hulkenberg) and myself are on the same page. "I know the main things we talked about were identical and where to improve the car, so that is also positive that we are also asking for the same things." Daniel Ricciardo is feeling at home at Renault. Renault also showed they had a sense of humour on his first day with a hilarious parody to welcome the Aussie. 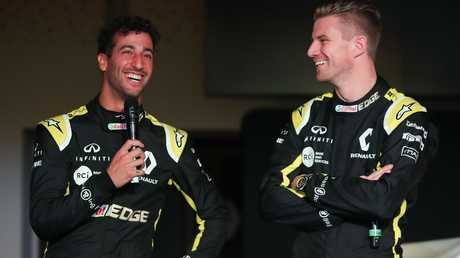 Ricciardo has also been bonding with new teammate Hulkenberg as the pair look to get Renault to the F1 podium regularly. 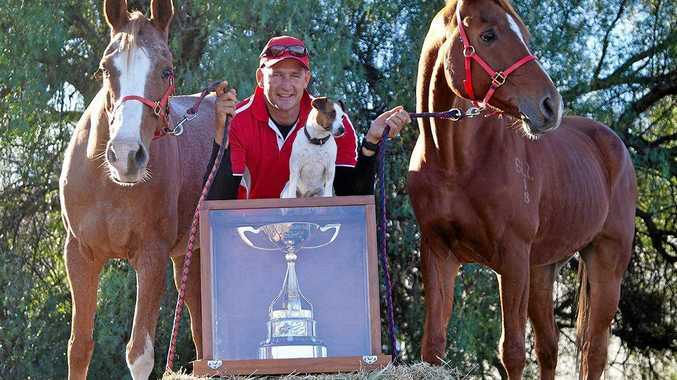 But the Aussie has long been one of the most popular drivers in the Formula One, letting his personality shine, whether it be frustrations on the track, the famous shoey celebration or a peak inside his life via social media. Even Pierre Gasly, the man who took Ricciardo's place at Red Bull, praised the Aussie's generosity. "When he was at Toro, he was teammates with Jean-Éric Vergne and that took him to Red Bull and of course I always followed him. I know him pretty well," Gasly said. "He's a brilliant driver with Red Bull Racing since 2014 who has always been really good to me. "He's always tried to help me in the lower series and tried to give me advice in double-up races or even within Red Bull, on how to work with the team. "So I would say even though we are not super close, I can call him a friend. He's a great guy, always has a smile on his face all the time." Ricciardo in his new Renault. 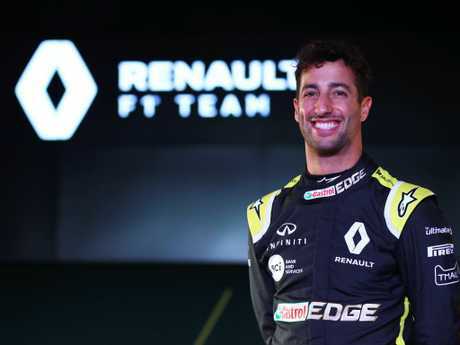 Ricciardo said his relationship with Hulkenberg would be another reason Renault could challenge in 2019. "It has actually been good," Ricciardo said of his relationship with 31-year-old German. "We haven't had much interaction because we have been splitting the days, so I did most of my work in the afternoon and he will do most of his in the evening, or vice versa. But it has been OK.
"But we are both asking for pretty much the same things from the car for improvements, so that is good. "If one is pulling one way and the other is pulling in another, then the engineers are left with a, 'What do we do?'" Daniel Riciardo has a laugh with new teammate Nico Hulkenberg. One place the pair differ is on the new rear wing brought in for the 2019 season. "I would say yes," said the German when asked by Motorsport.com if the RS19's engine felt more powerful. "But on the other hand, you know, we have a lot more drag with a big rear wing, so that obviously you have less of that sensation. "It's like pulling a parachute now, you know, across the straight, and you just see that massive rear wing in the mirrors, and obviously that has an impact on the feel of power." All F1 races are live and on demand on Kayo Sports. Kayo has more than 50 sports for streaming from just $25 per month for two devices at once. Click here to trial it free for 14 days. For Ricciardo, he's looking forward to the extra help the rear wing will give him on overtaking after seeing the benefits in testing. "At the time I was lapping quite a bit quicker, and I don't know what car it was, so I assumed they had more fuel," he said. "Maybe that is why it was easier for me to follow, but if that was a like for like, it felt better. "But I don't want to get too excited. We are still going to feel it, don't get me wrong. "I would like to think that was a sign that we would feel a bit of an improvement."